Welcome to the YZ2 Wiki! here it is. the Yz set up for clay!!!!!!!!!!! this week amain.com should have it!!!! Car looks ace... Jealous of the cells too, been looking for those shorties everywhere! Can't wait to build and race the car. However, the B-Max2 (which is a different platform, I know) still suits me fine. Do you think, there will be coming an 3 gear transmission for the yz-2, as well? Because when you look at the body shell, the opposit side of the spur/motor plate bubble (sorry, i don't know how to describe it better in english, i hope you understand), looks the same, or do you think, this is just for an symetrical look!? I think there is a good chance they will. They seem to really be steeping there game up. I think at least they keep the option open by making the body that way. 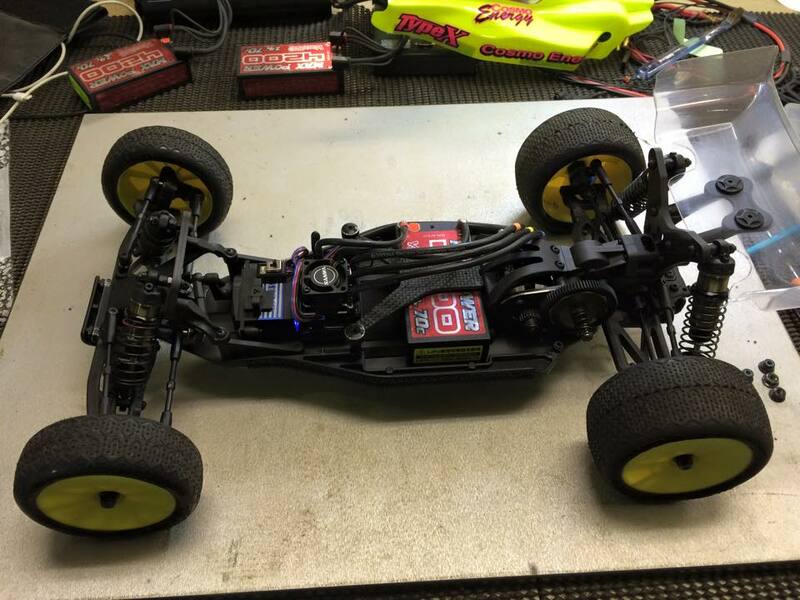 Saw today on Neobuggy that Hara may be running this new buggy in 2wd at the Reedy race. Will be a good testing ground for this new buggy! that's going to be interesting. can't wait to see if he does. Will the Bmax2 ball diff fit? Check this link to parts etc. Lee Martin said so on his facebook page. As it seems, the only difference between the old and the new gear diff is the use of philips vs hex screws. Parts should be coming along with the kits at amain.com. Not all parts will be available though. Wait and see. Which are the softer springs etc from this new set? All times are GMT -7. It is currently 12:53 PM.